In a second study, researchers at Johns Hopkins and collaborating institutions have identified a mechanism whereby alterations in the DISC-1 (disrupted in schizophrenia-1) gene may underlie the adolescent onset of schizophrenia. In this second study, published in the March issue of Nature Neuroscience, the research team examined DISC-1's role in forming connections between nerve cells. The first study looked at the long-term effects of transient DISC-1 gene expression changes near the time of birth in a mouse model. This first study was published in the February 25, 2010 issue of Neuron and has previously been reported on in BioQuick News. Taken together, the results of both studies suggest that anatomical differences that seem to be influenced by the DISC-1 gene cause problems that start before birth, but surface only in young adulthood. "If we can learn more about the cascade of events that lead to these anatomical differences, we may eventually be able to alter the course of schizophrenia. During adolescence, we may be able to intervene to prevent or lessen symptoms," said second study senior author and first study co-author Dr. Akira Sawa, professor of psychiatry and director of the program in molecular psychiatry at the Johns Hopkins University School of Medicine. Numerous studies have previously suggested that schizophrenia results from abnormal connectivity. The fact that symptoms typically arise soon after adolescence, a time of massive reorganization of connections between nerve cells, supports this idea. The scientists began their second study by surveying rat nerve cells to see where DISC1 was most active. Unsurprisingly, they found the highest DISC-1 activity in connections between nerve cells. A new and comprehensive drug development strategy that starts with extensive screening of potential targeting peptides to rapidly identify prototype small-molecule drugs has produced two that target the EGFR and VEGFR pathways in novel ways, according to a research team led by scientists at The University of Texas M.D. Anderson Cancer Center "The conceptual advance here is to demonstrate how to go rapidly from screening to structural-functional analysis to drug prototype in a few years," said co-senior author Dr. Wadih Arap, of the David H. Koch Center at M.D. Anderson. "The practical outcome is a pair of new drug candidates, one that acts as a decoy to inhibit a cancer-promoting pathway and another that blocks angiogenesis (the development of new blood vessels), which has the potential to treat both cancer and retinopathies that cause blindness," said co-senior author Dr. Renata Pasqualini, also of the David H. Koch Center. The group's approach begins by screening the target receptors with a phage display library used by Drs. Arap and Pasqualini. 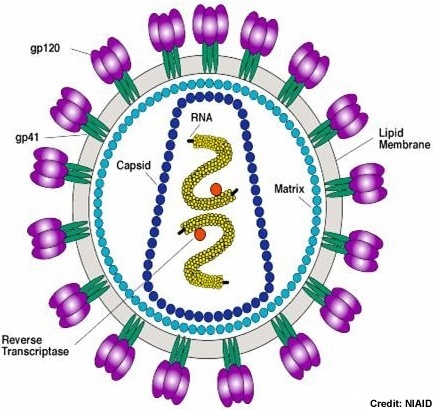 This method screens billions of viral particles that each display a different peptide on its outer coat to find those that fit into the receptor as a key goes into a lock. Candidate peptides are next winnowed by using structural and functional analysis. Once a peptide is identified and tested, the researchers take an additional step to synthesize a new version of the peptide more suited for use as a drug. Researchers have successfully used mouse embryonic stem cells to replace diseased retinal cells and restore sight in a mouse model of retinitis pigmentosa. This strategy could potentially become a new treatment for retinitis pigmentosa, a leading cause of blindness that affects approximately one in 3,000 to 4,000 people, or a total of 1.5 million people worldwide. The approach also holds promise for the treatment of other retina-damaging diseases. "This research is promising because we successfully turned stem cells into retinal cells, and these retinal cells restored vision in a mouse model of retinitis pigmentosa," said Dr. Stephen Tsang, assistant professor of ophthalmology, pathology, and cell biology at Columbia University Medical Center, and lead author of the paper. "The transplanted cells not only looked like retinal cells, but they functioned like them too." In Dr. Tsang's study, sight was restored in one-fourth of the mice that received the stem cells. However, complications of benign tumors and retinal detachments were seen in some of the mice, so Dr. Tsang and colleagues will optimize techniques to decrease the incidence of these complications in human embryonic stem cells before testing in human patients can begin. "Once the complication issues are addressed, we believe this technique could become a new therapeutic approach for not only retinitis pigmentosa, but age-related macular degeneration, Stargardt disease, and other forms of retinal disease that also feature loss of retinal cells," said Dr. Tsang. Specialized retinal cells called the retinal pigment epithelium help maintain vision.